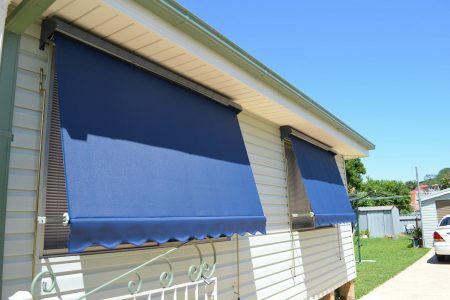 Make the most of your indoor & outdoor space, control light and privacy and enhance the look of your home with quality, custom made blinds, shutters, outdoor blinds and awnings from Pazazz Blinds & Shutters, a locally family owned and operated business in Newcastle. Blinds perfect for every home, office and business. Our Double Vision Blinds are a stunning new blind innovation for controlling light and privacy in a stylish and practical product. 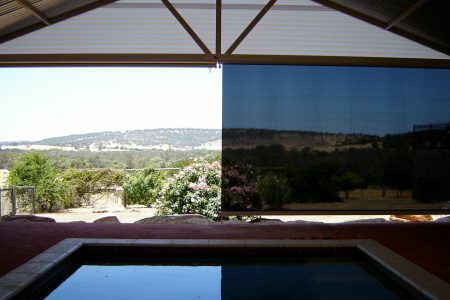 Double Vision Blinds combine sheer and opaque panels which are controlled via a single control. 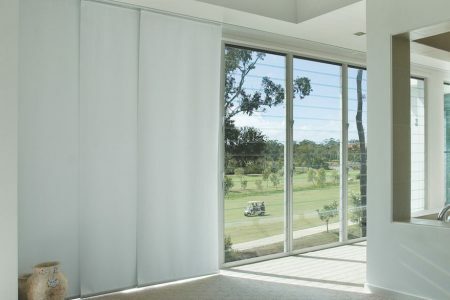 Simple and Elegant with clean lines and subtle finishes, roller blinds have become the most purchased blind throughout Australia. A roller blind will suit just about any situation throughout the family home or office from traditional windows to doors. With a timber look, this product is a great alternative to natural timber for high humidity environments such as kitchens, bathrooms and heavy traffic areas. The low maintenance slats are easily washable and resist fading without issues relating to warping, cracking and chipping. 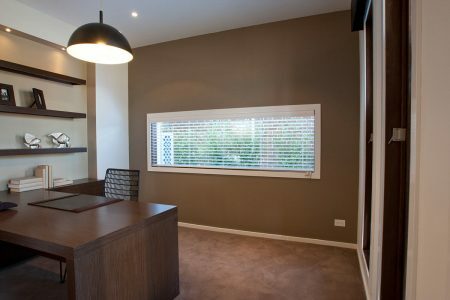 Our Slimline Venetian Blinds are built tough to withstand the rigours of the family home or busy office. 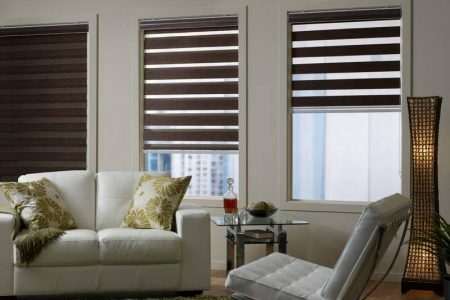 These affordable blinds are functional and stylish, perfect for modern and traditional interior designs. The classic vertical blind, functional, affordable and classy. 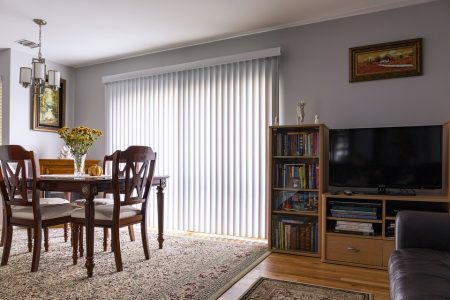 Vertical blinds remain an ideal way to control light intensity and maintain privacy. 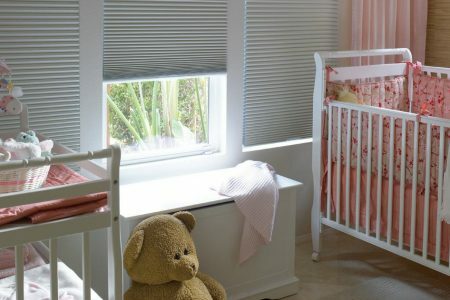 Vertical Blinds have the ability to be rotated 180 degrees which allow you to redirect light and glare during the day as morning becomes afternoon. The Panel Glide blind is generally used on sliding doors where a track carrying multiple panels can slide across the doorway to allow access and light. Our Timber Venetian range of blinds is manufactured to be tough, using timber of high-grade standards to minimise warping and splitting. Our Timber Venetians also have accessories to complete the look, like wooden pelmets to hide the aluminium headbox. 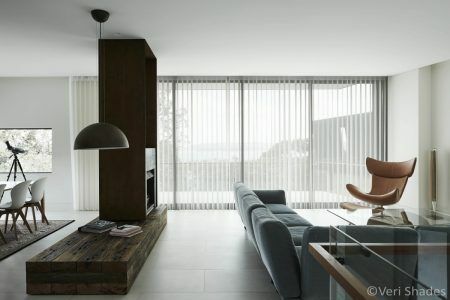 These highly contemporary blinds are extremely versatile to compliment any room or home. 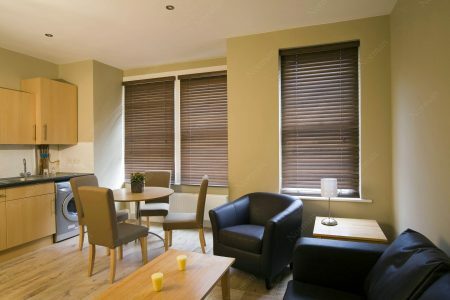 Honeycomb blinds provide excellent shading options while maintaining a low profile through their discrete appearance. Create a classic, elegant look to any room in your home by using roman blinds. Roman blinds operate in a folding motion from the bottom up and work in many ways similar to a roller blind. 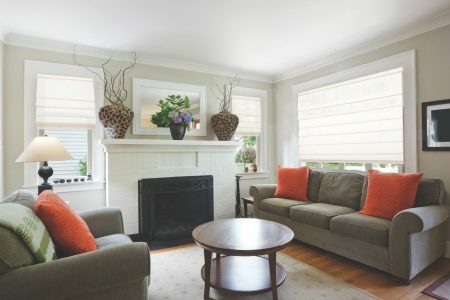 Introducing Veri Shades, the latest innovation in modern and versatile window shades. Part blinds, part curtains, all style. 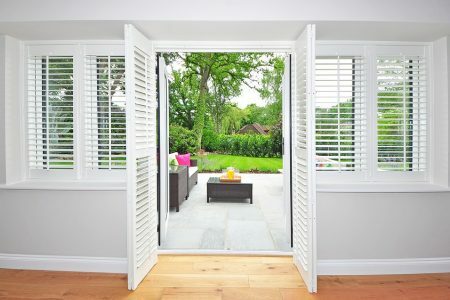 Stunning Shutters for indoor and outdoor use. Custom-made by Pazazz. Our plantation shutters come in a vast range of styles, materials and colours. 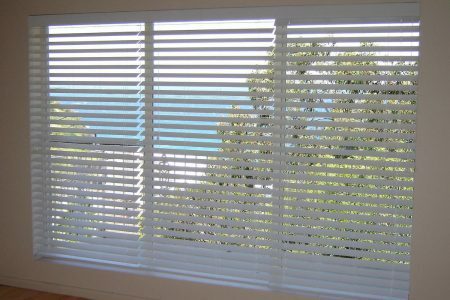 We can create custom made shutters that fit any window shape and size. Our PVC shutters come in a huge range of colours, styles, sizes and finishes. 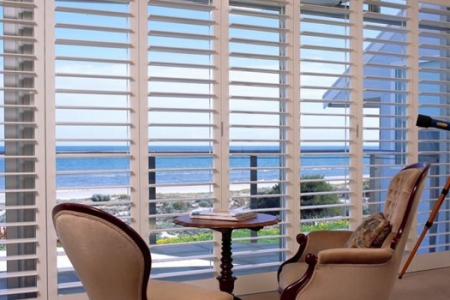 These highly-durable shutters are perfect for wet areas and outdoor areas. With 13 colours and 10 stains to choose from, you will be able to find your perfect shutter from our range of Provincial Timber Basswood Shutters. 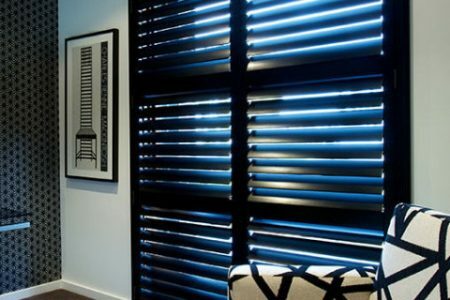 These strong and hardy shutters are the perfect design addition to any room. 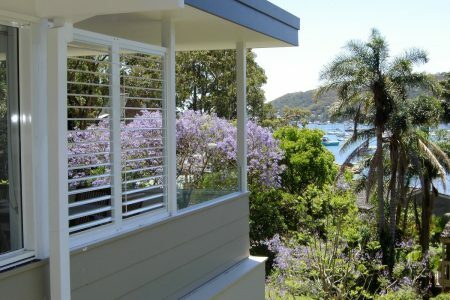 Our Coastal Aluminium Shutters are designed for outdoor use and designed with the Newcastle, Lake Macquarie and Port Stephens Coastline in mind. Our quality aluminium shutters use a low-corrosive metal and thicker finish to withstand salt spray and rust. 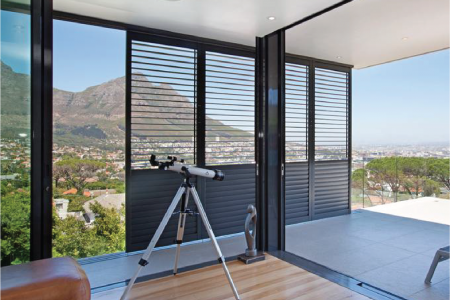 The Pazazz Blinds & Shutters Urban range of Internal Aluminium Shutters is the newest concept in plantation shutters for indoor use offering superior heat rejection and improved strength compared to timber and PVC plantation shutters. See our huge range of products suitable for the outside of your home or business. For a traditional window covering awning operated from ground level and simple to use look no further than an Automatic Awning. Specifically designed for use in alfresco entertaining areas such as pergolas, verandas and balconies. 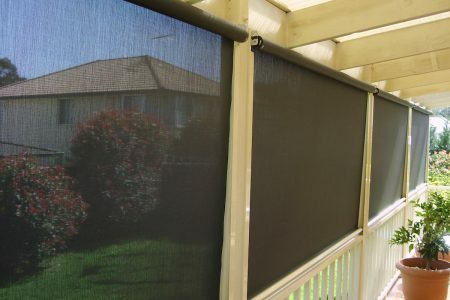 The Zip Screen Outdoor Blind offers homeowners privacy and protection from sun, wind, rain and insects all year round. 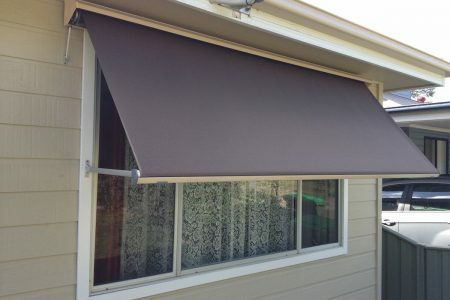 A simple outdoor blind that can be designed to suit any verandah, deck, pergola or alfresco area without intrusion. 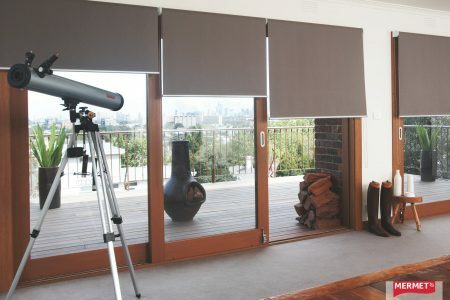 Straight drop outdoor blinds vary in style and composition and when rolled up can be completely hidden. Our wire guided outdoor blind system is a clean European design with excellent performance. This awning has contemporary aesthetics with an aluminium box and lateral stainless steel cable guides suitable for every architectural context, be it modern or classic. 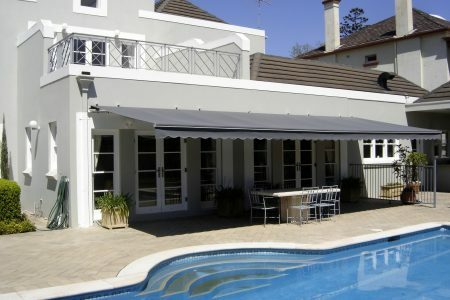 Australian made-to-measure Folding Arm Awnings by Pazazz Blinds & Shutters. Built to last and designed for style, our Folding Arm Awnings are perfect for extending any outdoor living space. 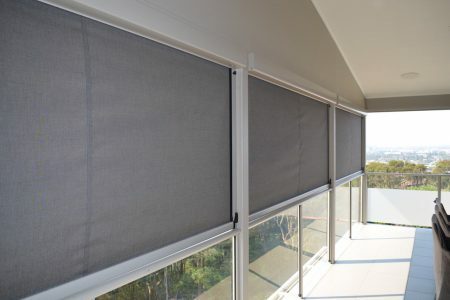 Side Channel Outdoor Blinds are extremely versatile in their application, generally suited to verandas, decks, pergolas, outdoor entertaining areas and porches. 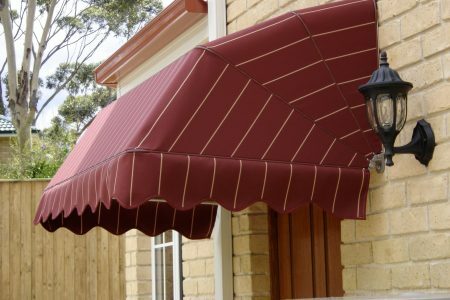 This awning is a fantastic compliment to Automatic Awnings and has the added benefit of eliminating wind and rain and providing privacy. Pivot Arm Awnings provide flexibility, perfect for two-storey homes or higher to allow for consistent visual aesthetics. View our huge range of other external awnings perfect for windows and doors for the home, office, restaurant, cafe or other business. 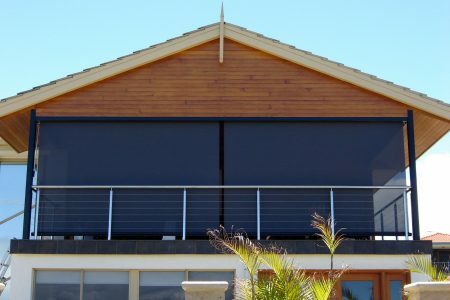 Our Urban External Aluminium Shutters are designed for outdoor use and designed with the Newcastle, Lake Macquarie and Port Stephens Coastline in mind. Our quality aluminium shutters use a low-corrosive metal and thicker finish to withstand salt spray and rust.